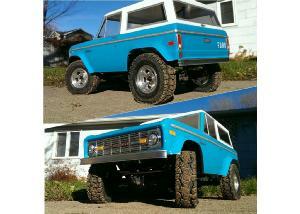 Welcome to the all new GCM #tinytrucks Shopping website. Please have a look around for items available for purchase and remember to use the SEARCH bar on the top right. 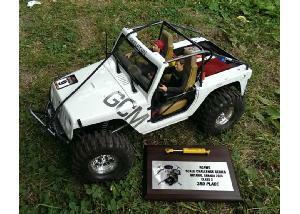 GCM #tinytrucks and GCM Racing is a day operated business located in the Eastern Timezone in North America. We are open for shipping from 9am to 4pm Eastern Time from Monday to Friday. Please email our USA store line any time at the address above. Our Customer Service E-mail can be used 24 hours, 7 days a week, and we will respond to most or all e-mails within 48 hours depending on volume. Here's where you'll find the Combos and parts for the J2 Skeleton Chassis lineup. There's rails, mounts, skids, J2 Link kits, and more! Check out the Ultimate Combo Lineup for the J2 Skeleton Chassis. This setup will be a direct fit for your Skeleton Chassis with the specific Axle you want to hang under it! Links, brackets, and all is included on the Ultimate combo setups. For less complete kits, there's still the Combo Kit, as well as individual items to complete a previously started build. Hang your body and legs on this great scale truck frame. Just the Basics to get something started! Our ALL NEW chassis has been developed to offer exceptional leaf spring scale performance and huge adjustability, and it's also got setups available for Link front and Link rear to assemble individually or together. Either in the 4x4 version, or the HotRod 2wd version, there's wheelbase adjustment, and spring hanger settings to get your wheelbase perfect, and match the stance of your build. The GCM CMAX Chassis parts and Combo Kits are a scale and tough leaf spring OR Coil component set that will assemble a strong and reliable truck frame and drivetrain to look great and keep repairs out of the schedule. CMAX houses a full scale driveline including dropped front axle outputs at the right or left side, overdrive front axle Tcase, and options for a scale printed 3D motor under the hood, with exhaust and accessory details. 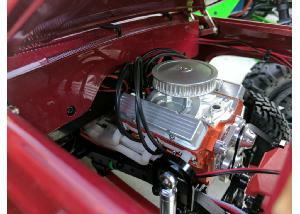 We also have Radiator kits and other scale under-hood details to make your build stand out of the crowd! When combined with the all new TM8 axle housings from GCM Racing, you can be sure you've got a full scale truck setup that was engineered to work great right from the gate. Easy assembly, lots of setup options, reliable performance, and great looks all wrapped into CMAX from GCM. For more info on this great new layout check out the first product page in this section, called CMAX Info and Videos. CMAX INFO PAGE IS HERE! THE single best scale Hilux setup available. Want link suspension on your CMAX? When you need some super tough scale stuff for your Wraith, Crawler, SCX build, or custom truck, GCM has axle housings that will fit your build right. Take a look at the newest selection here. 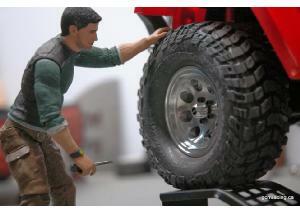 Scale truck enthusiasts everywhere have been using Axial SCX-10 axle housings for years. We have also used them, but join in the community complaining about the lack of scale details and steering throw on the original design. GCM adores scale trucks. We also adore the long life and reliability the Axial drivetrain components bring to the trucking scene. 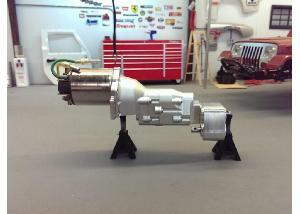 This is the reason we created the GCM axle housing line. From our Vintage MetalHead axle, to the TerraMod housings of yesterday to the modern and ready TM8 brand new designs, we have been in the axle market with top level performance and deliver only high quality components. The new TerraMod full of GCM. The Vaterra Ascender has become a popular Kit and RTR, with a full steel Ladder Frame, adjustable wheel base, 2 speed options, and great scale looks. Unfortunately, there's no room for a full scale interior on the stock kit, so GCM has come up with options to correct this, as well as some of the bad link geometry. There's now full scale setup options available for this great kit through GCM, and performance gains as well! Check out our new Leaf Spring mounts kit for the trucks in Stage 1 or Stage 2, Aluminum bumper mounts, and Bronco Bumpers, as well as a new Diff input shaft to facilitate ANY of the common 5mm driveshaft options. Need a Flat floor in the back? This is the ticket! Flat floor and Scale Shocks included! From Custom SCX builds, to stocker upgrades, GCM has parts and Combos that will get you driving fast with maximum performance. Check out these complete SCX upgrade kits, as well as a great line of performance upgrade parts. 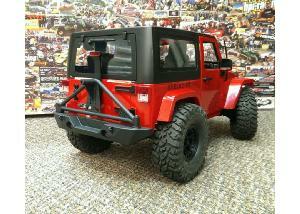 The Axial Rubicon Kit and RTR have offered a great startup opportunity for new RC'ers as well as Custom Builders. 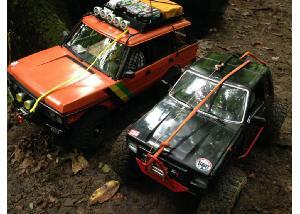 There's many steps along the way in using this great SCX10 platform for custom truck builds. 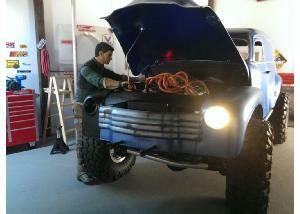 Whether you want to do basic upgrades, or full custom truck builds, there's great kits for you here at GCM. Our kits here fit the SCX chassis, as well as the 313mm JK Rubicon, Ram, and Honcho trucks. Direct fit for any SCX, all scale. Mounts for Servo, Motor, T-Case included! TF2 and Gelande2 Chassis platforms from RC4wd are available worldwide and provide a solid base for scale truck building. We're adding to that building experience with these fresh items to lead your RC4wd truck down the scale drivetrain path with bolt on bits. GCM Offers only the toughest Chassis and Drivetrain components to keep your scale trucks running. From TTC to Scale Comp drivers, we have you covered for maintenance free running in any conditions. GCM Offers some unique Scale truck and Rock Crawler rims and rotors. We do super scale 5 Slot classic rims, Detroit 8 hole classics. Check our Baja Detroit BL rim or the new Stealth Beadlock to satisfy your offroad adventure rigs! For the small tire guys, we have the Mini-Mag series which will beadlock any 1.55 and 1.7 rims with full scale details and easy axle fitment.. and of course rotors are included for maximum scale points! And don't forget scale hubs to match! The new addition of the Vaterra Twin Hammer to the scale buggy market has been exciting! GCM has taken the VTH to the next level with our scale parts and performance enhancing additions, to bring your Hammer to a realistic and competitive level. Check out the Twin Hammers Product Videos Here at this link. All of our Twin Hammer body and interior parts are now available at our GCM Racing ShapeWays store Here at this link ! You may be able to save on shipping and order time by using this method for ordering. Performance and Scale in one Mod. Fix the Twist with this little part. MANY people have asked us what we use for power systems and build items. 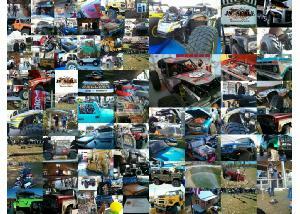 Here's a special section to showcase and offer our favorite parts, the very same things we use in our truck builds.